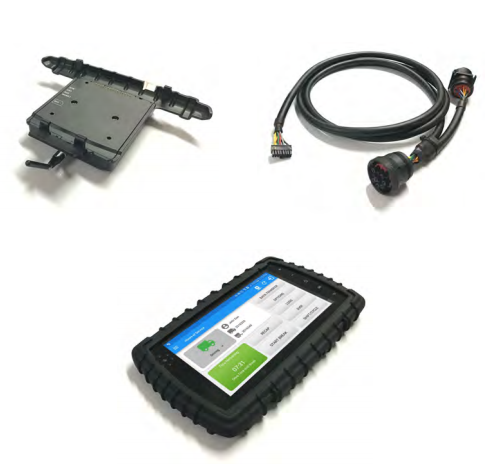 The Calamp VeoSphere device provides both ELD functionality and full GPS tracking, very similarly to the 4230 Multi-Function device. The primary difference is the VeoSphere does NOT require a Bluetooth connection for communication between the ELD unit and the ELD Driver app. There is a physical connection between the two, eliminating the need for Bluetooth. The 16 pin adapter provides a link between the VeoSphere dock and the vehicle’s JPOD diagnostic port.